Miami Beach 411 : City Guides : Search results for Fort Lauderdale City Guide : Find info about the city of Ft. Lauderdale. 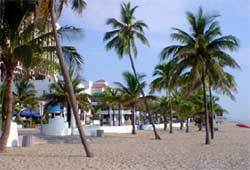 The City of Fort Lauderdale is centrally located between Miami and Palm Beach. Our 16-page Fort Lauderdale Web Guide is designed to help you research the city and travel information you want with a minimum of frustration. To get started, use the navigation table below. Search Google for "Fort Lauderdale City Guide"